The bangle has conjointly been adorned by lovely white and red little masonry. Additionally there’s conjointly a giant red stone placed within the diamond formed pattern placed right in middle. The mesmerizing look of this fashion bangle is bestowed by the magnificent minakari work that decorates its circumference. 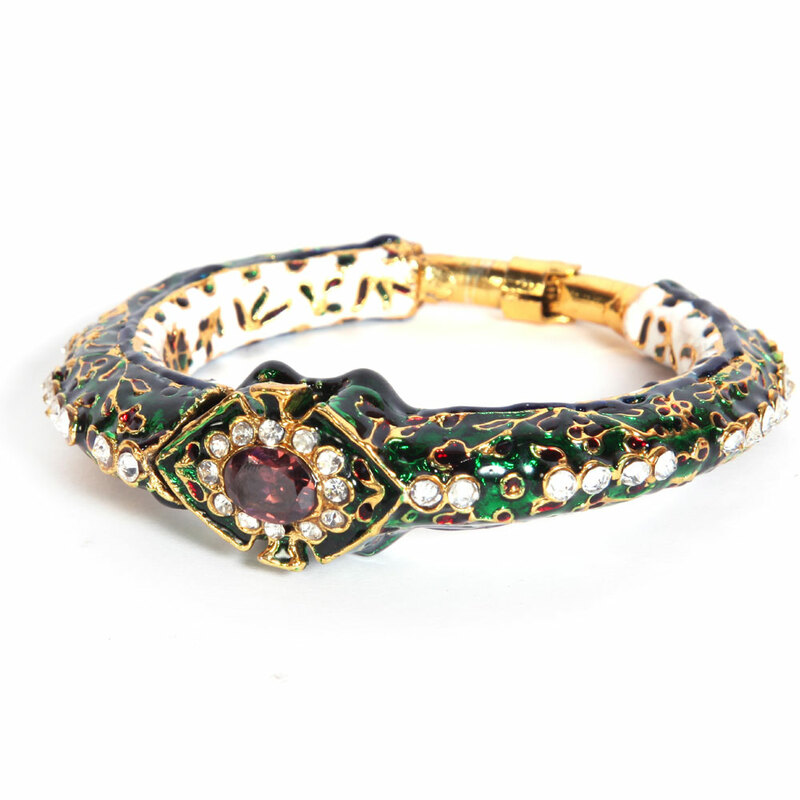 The bangle has also been adorned by Read More..beautiful white and red small stonework. In addition there is also a big red stone placed in the diamond shaped pattern situated right in middle. Show Less..